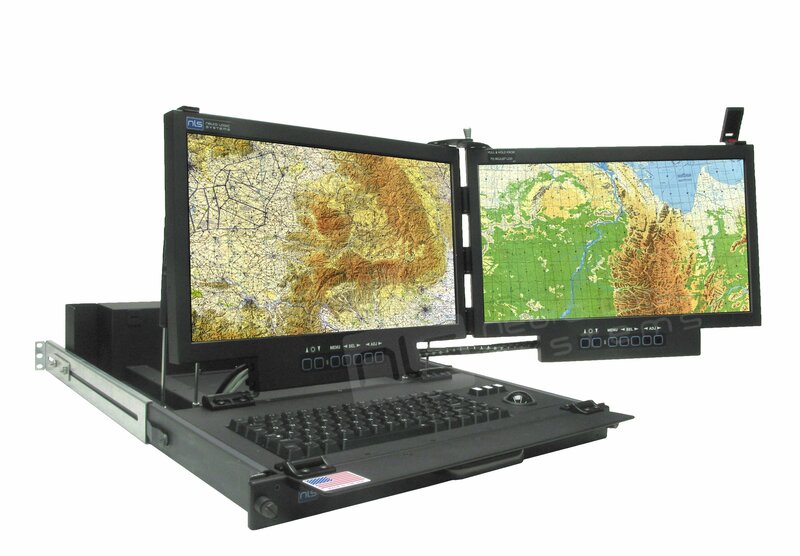 Engineered for operation in restricted quarters, the RFT2-2LH-17-USB-WS-R features two 17.3” 1920x1080 full HD LCD displays that deploy in a side-by-side configuration. Two friction levers lock the display heads firmly in place to prevent movement from the shock and vibration encountered during flight. The unit operates on 28 VDC power and is MIL-STD-704 compliant. HD-SDI video inputs and an IP65 sealed keyboard are standard. The RFT2-2LH-17-USB-WS-R stows away in a compact, 2U rack space. This display is presently deployed on small, MC-12 C4ISR turboprop aircraft.